Please come in as a team of 2 people.No age limit. Anybody can team up with anybody else. Prizes for Best Women’s Team, Best Senior Citizen’s Team, Best Student Team and lots of fun audience prizes too. 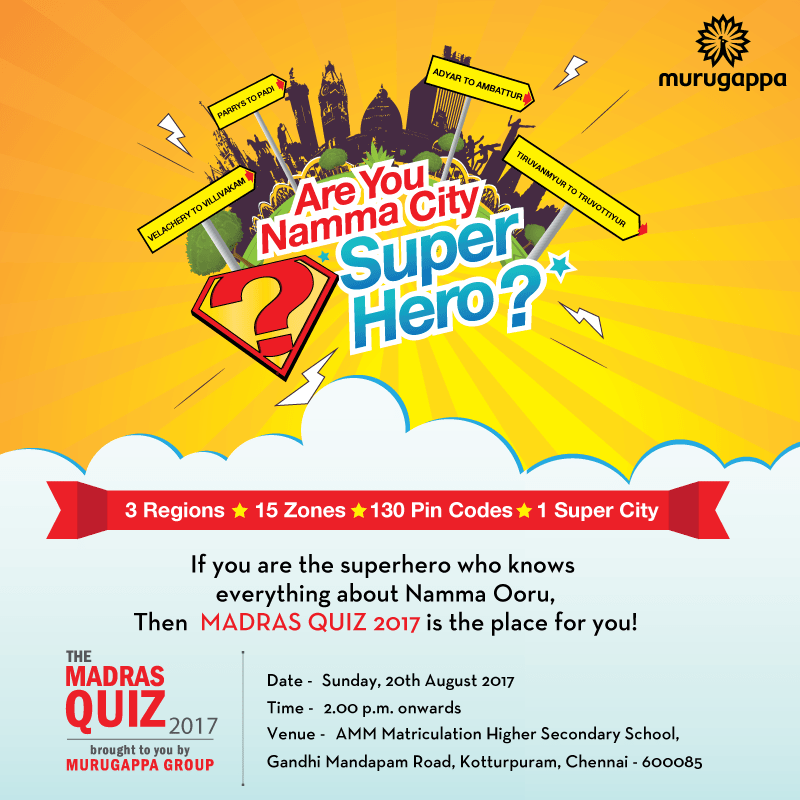 The quiz will be hosted by Ace Quizmaster Dr Sumanth C Raman.